I’d like to tell you a story about an 18-year old young man named Erik who loves mathematics. He just graduated from high school where he excelled in his math classes and even completed a Calculus course. He’s the one in school that other kids go to for help with their math homework. Erik plans to continue on with math in college and he was accepted to U.C. Berkeley. After school he’d like to go into a math related field, or economics or engineering. This guy is bright and has worked hard for his achievements. In many respects Erik is a model citizen and the math field needs more young, enthusiastic people like him. The only problem is that Erik isn’t a citizen, he is an undocumented immigrant. This is where this story of promising potential gets a little murky. Erik came to the U.S. with this family when he was only 8 years old. Obviously, he had no control over his immigration status at such a young age. What he did do was work hard in school, got good grades, excelled in math and was rewarded by getting accepted at UC Berkeley. But because he can’t apply for scholarships, or even work, Erik must go to community college instead and hope that in two years he can solve the financial obstacle of attending a first-rate university. But even if he manages to fund his academic career and graduate from a top university with a degree in math, it might all be for naught since he can’t work in a professional field. He'll be pushed out of the legitimate workforce because of his immigration status. By any measure this situation is sad and a waste. This is where the DREAM ACT comes in. The Development Relief and Education for Alien Minors (DREAM) Act is bipartisan legislation that addresses the situation faced by young people who were brought to the U.S. years ago as undocumented immigrant children by their parents and who have since grown up here, stayed in school and kept out of trouble. Each year, about 65,000 students would benefit from the DREAM ACT. After satisfying strict requirements, these students would be eligible for a 6-year conditional path to citizenship. In the last few weeks, a group of these high-potential students moved to urge California Senator Diane Feinstein to champion the bill and push it from the Judiciary Committee to the Senate for a vote - by setting up an encampment outside her office building on the corner of Santa Monica and Sepulveda boulevards. It is a high-traffic area and the colorful tents and banners were a curiosity for many passersby. I stopped by a few times to lend my support and that is when I interviewed Erik who had just come off an 8-day hunger strike. For those who would say that Erik is breaking the law by remaining in the U.S. and should go back to his native Mexico, think of it this way – for all intents and purposes, Erik is American since he’s lived most of his life here. He can’t go back to Mexico and apply for legal citizenship since according to U.S. immigration law he has broken the law by living in this country illegally. If he leaves the country, he can never come back. Is this necessarily a bad thing? I believe it is. If Erik is granted citizenship, he’s proven that he could be a productive member of society, especially with his aptitude in math. I asked Erik what he’d say to an opponent of the DREAM ACT. He quickly responded by pointing out that if he were allowed to stay in the U.S. to attend a university and work in a professional field afterward that he could be a benefit to America by intelligently helping industry to create new jobs. It was heartening to hear him say this and the fact he had the wherewithal to focus on the biggest problem facing the country, unemployment. If you support the DREAM ACT I urge you to contact your congressman and let him/her know how you feel. Lo there Dan'l, I'm a big supporter of the Dream Act. I know these young people are breaking the law by living here, but it wasn't their choice since they came here as kids. What is this guy supposed to do, as soon as he reaches 18, is he supposed to drive to the border, and live where and do what? 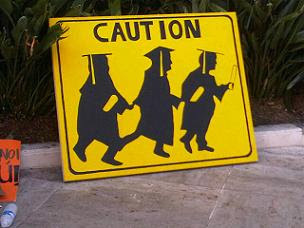 The Dream Act is for the most promising students, those that can pay back America.